The Roofnest ladder extends to 8.5′ tall, collapses down to just 28″, and fits securely into the brackets below the doorways one all of our Roofnest tents. 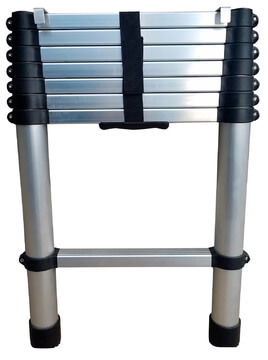 The ladder is easy to operate, comes with it’s own storage bag, and will find many more uses than just getting in and out of your Roofnest! 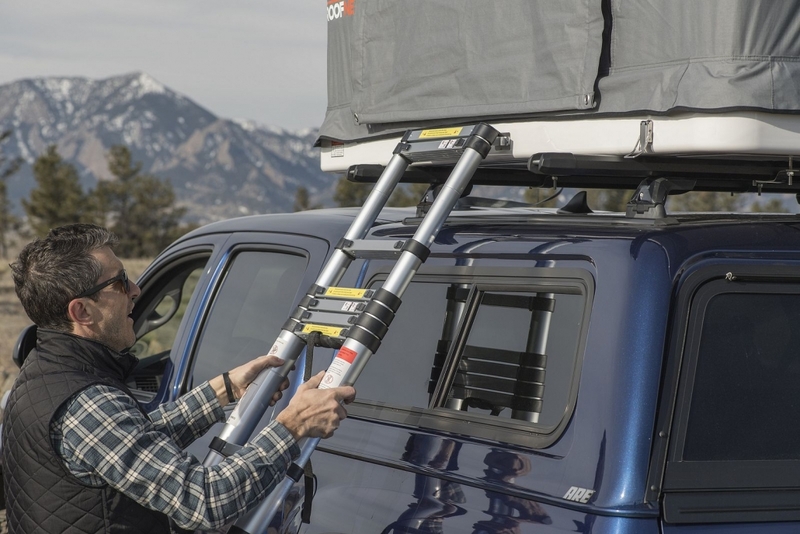 Get an extra ladder to access your roof top tent from both sides or replace the one that ditched you on your last road trip. Get some Roofnest stoke in your inbox! We send newsletters a couple times a month and promise they'll be hip, beautiful, and relevant..
Sign up for our Newsletter to get special offers, learn about new products and sales, and other Roofnest news!